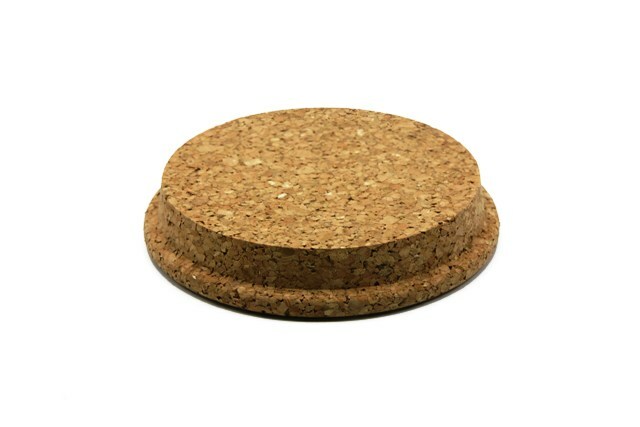 We supply conical cork stoppers of a wide range of sizes, starting from a few mms up to 20cm. As well as making conical corks in standard sizes and custom sizes, we also produced lipped corks such as the one shown in the image below. These corks generally have a shallower penetration into the jar or pot that they are sealing and are typically easier to remove than standard conical corks. If you are looking for either conventional cork stoppers or something a little different, please get in touch and hopefully we will be able to supply what you are looking for.